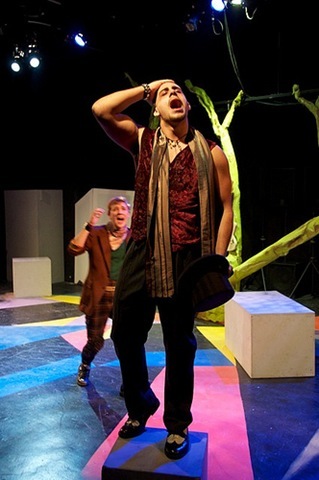 My, What a Strange and Interesting Play! I have a confession. 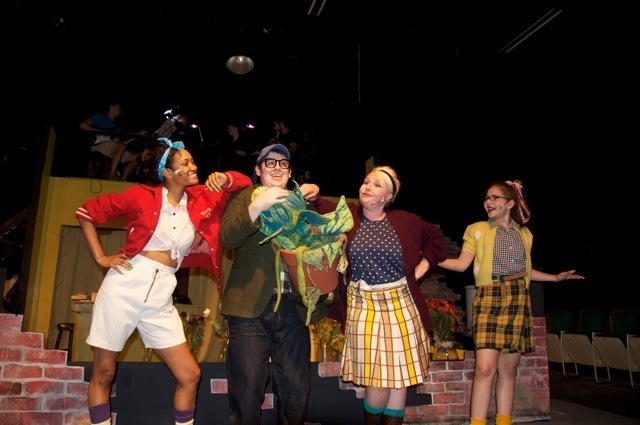 Little Shop of Horrors is my favorite musical of all time. I have loved the play ever since I saw the movie version as a child. I own a VHS copy of the director’s cut of the film, which features an alternate ending that falls more in line with the play, and I have the Little Shop of Horrors Broadway revival cast recording, which for three months straight was the background music for my workout routine at the gym. So it was with great excitement that I sat down at the La Costa Theatre, which sits above an auto shop, to see Chicago’s most recent rendition of this contemporary classic. Overall, I can’t say I was disappointed. 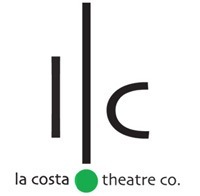 I think La Costa has planted the seed for an amazing production. But it hasn’t quite blossomed just yet. 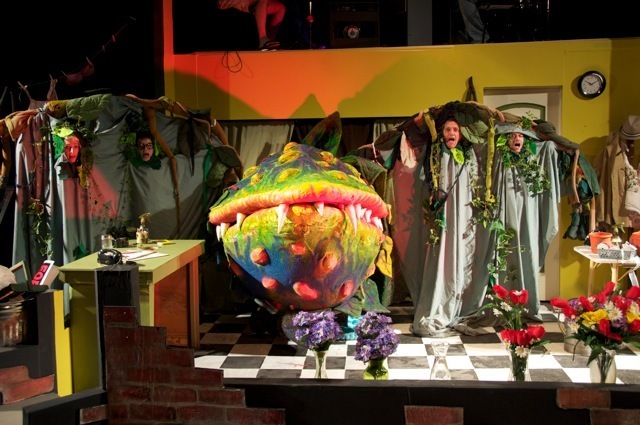 And if that’s not enough plant metaphors for you, I believe after a few more shows, this production has the possibility of growing into a four-star play. 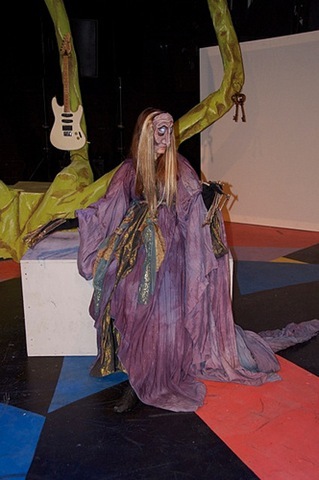 Little Shop of Horrors takes place in skid row, a dilapidated, impoverished city slum. Mr. Mushnik (Peter Verdico) is the proprietor of an eponymous flower shop that, like most businesses in the neighborhood, is failing. 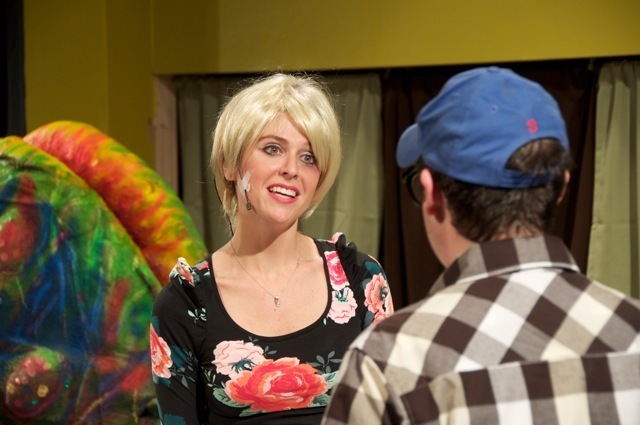 Mr. Mushnik employs the fragile Audrey (Ashley Bush) and the nebbish Seymour (Jonathan Hymen). Audrey dates a sadomasochistic dentist (Tom Moore) whose pastimes include riding motorcycles and domestic abuse. Everyone’s life is pretty miserable until Seymour comes upon a strange and mysterious plant that he dubs the Audrey II (voiced by Brian-Alwyn Newland and controlled by puppeteer Paul Glickman). The plant’s mere presence creates a boon for Mr. Mushnik’s flower shop, and Seymour becomes a highly sought after celebrity. However, Seymour harbors a terrible secret. The plant hungers, and the only thing that can satisfy its ever-growing appetite is human blood. And it demands that Seymour feeds it. The acting is spot on. Hymen’s Seymour is the quintessential underdog nerd. He’s slouchy, he’s disheveled and he’s meek. Still, Seymour is a very passionate character, especially when it comes to matters of the heart and of ethical decisions, and Hymen transmits this with the required restraint. Bush’s Audrey isn’t as much of a bimbo as other incarnations that I’ve seen, which is completely acceptable as Audrey isn’t stupid so much as she is incredibly insecure and self-effacing. This is a girl who honestly believes she deserves to be abused. But despite being damaged goods, Audrey is also a hopeless romantic, dreaming of one day living in a suburban home where the furniture is wrapped in plastic. Bush captures this hopefulness and hopelessness. 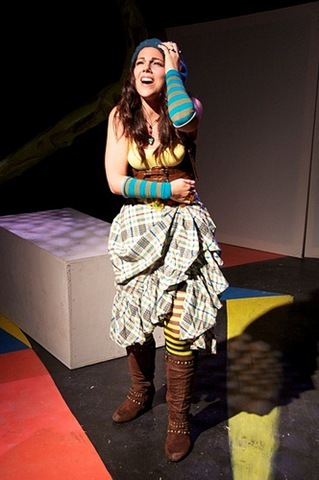 It also doesn’t hurt that she has one of the strongest voices in the cast. 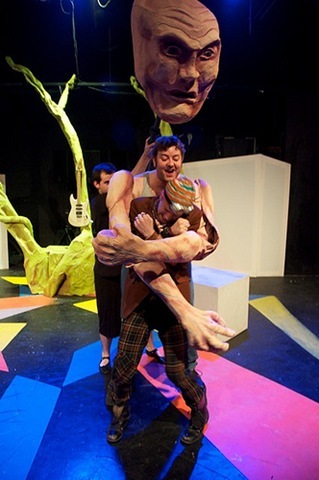 I’m sure it must be very difficult to create a giant, man-eating puppet for the stage. 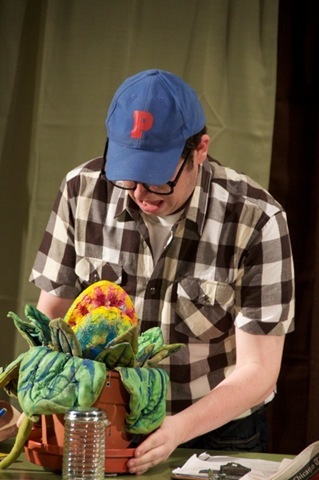 But Glickman, who has years of experience as a puppeteer, has created a remarkable Audrey II. I was blown away by how a small independent theatre company managed to create such an amazing special effect for the stage. There was a technical downside to the production. 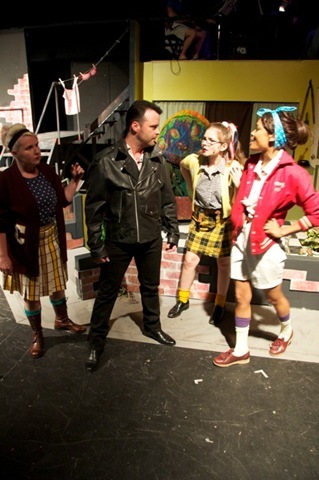 The sound quality throughout the play was at best adequate and at worst terrible. The balance of the vocals and the live music was completely off. Often the thump of the bass would drown out all of the singers. Even when no music played, the volume of the actors’ mics varied widely. I had hoped this would have been fixed by the second act, but, to my surprise, it was not. Also, director Dan Sanders-Joyce didn’t do a very good job of spreading the action throughout the theater. 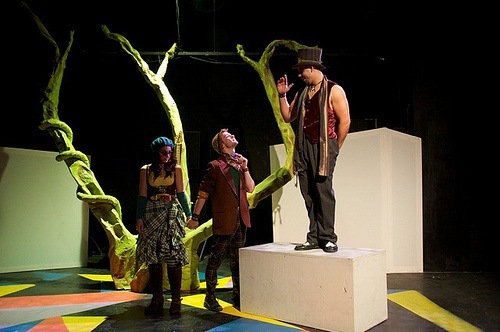 The space is rather large, but much of the actors’ movements are relegated to a small part of the stage. This often leads to poor views for half the audience. 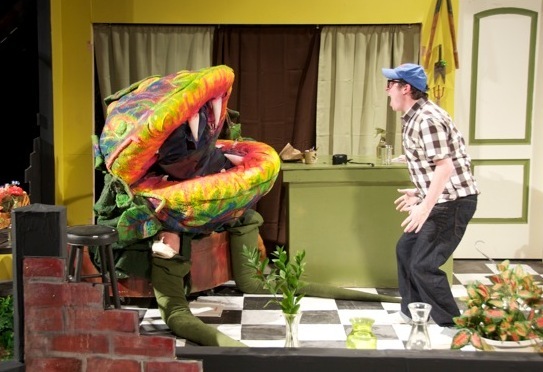 La Costa desperately needs to fix Little Shop of Horrors’ technical glitches. (I suppose you could say they need to nip them in the bud.) 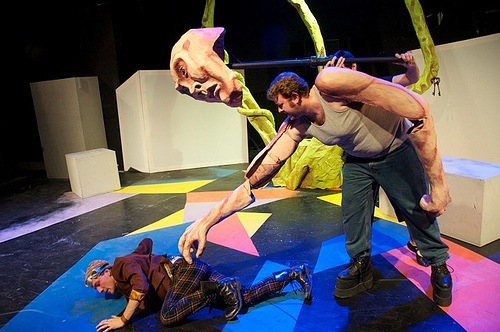 Otherwise, the company has well-crafted and entertaining production. 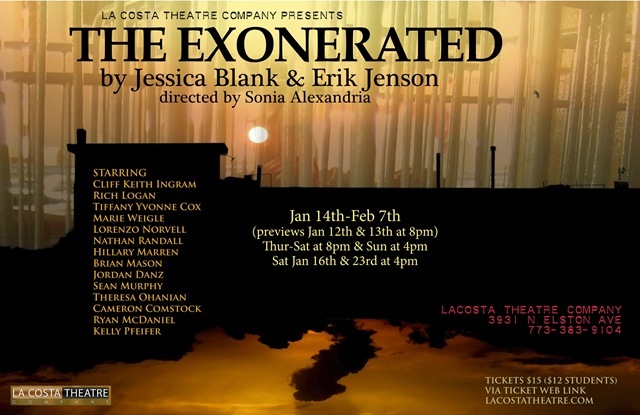 The vibe created by La Costa Theatre’s The Exonerated feels downright 60s-radical–whether it be in the relaying of 6 true cases of wrongly accused men and women from the late 60s and early 70s, or the soft, plaintive guitar performance in the darkened theater space before the show begins. The language used by the wrongly accused/proven innocent reflects the Boomer generation and their perspective on violent, endemic racism and homophobia. Their voices, as performed by cast, ring authentically but that same period element distances the storytelling from the audience. It relinquishes this play to being a thing of the past, even though it was only just produced in the first years of this century; even though the gross gaps in our justice system still haven’t been rectified. But more than an old hippy feeling compounds the challenge of revitalizing these stories and making their pain immediate. Unfortunately, The Exonerated, which stirred some of New York’s biggest stars to perform in it, which was made into a movie with Aidan Quinn and Susan Sarandon, and was presented to Gov. George Ryan as he pondered a moratorium on the death penalty in Illinois, sorely lacks critical dramatic structure to make it an enduring work of theater. Sonia Alexandria strives to keep the direction clean and simple; the minimalism of the barest of sets and strategically crafted lighting creates the right ascetic tone for the production. The effort to craft each story with the actors’ voices and bodies alone is the right move. The trouble is stories exposing some of the grossest injustices inherent in our legal system—stories which should raise hackles on the audience’s heads–get lost in a spliced-up jumble that contains no dramatic arc and raises no stakes. Impact gets lost just where one needs and wants and longs for impact. Such a deep structural failing cannot be redeemed by the unaffected and earnest performances of a capable cast. That’s too bad, because some manage to achieve deeper resonance than just outrage at what has been done to them. Cliff Ingram’s Delbert Tibs and Theresa Ohanian’s earthy young hippy Sunny remain in the mind long after the lights come up. For anyone who thinks law enforcement plays out just like the cop shows on TV, The Exonerated will act as an all-too–necessary antidote. For those long familiar with the arbitrary nature of our justice system and the tenuousness of everyday freedom, at the very best The Exonerated will come across as just another day in racist, classist, homophobic America.